Join us for a beautiful, abundant, and delicious feast of the field with Middle Eastern flavors. 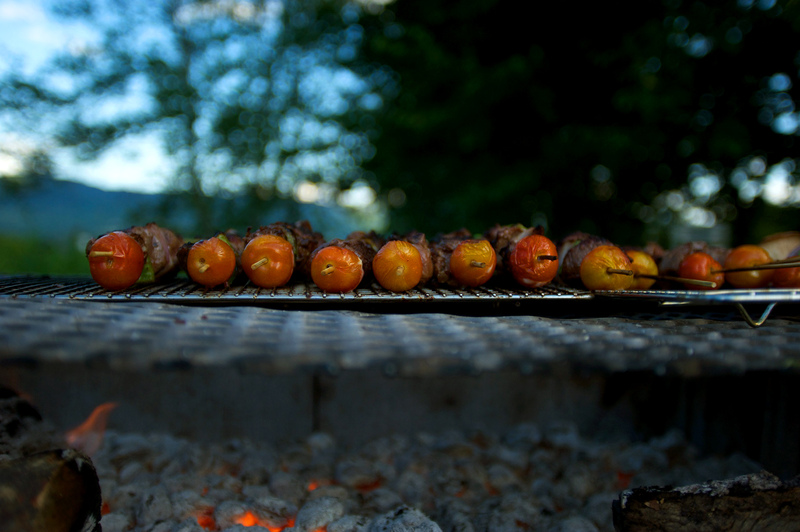 We will be grilling our own spiced lamb kebabs over a woodfire and serving them up with many vegetarian complements from the gardens inspired by the cuisines that understand lamb best. We will be serving outside in the gardens weather permitting. If it’s rainy, we will eat inside the beautiful event barn. The menu will include lamb kebab, handmade breads, chutneys, hummus, roasted veggies, and more – all made from scratch here at the farm. Dessert option (not included in dinner) are hand pies made with our berries. BYOB, bring blankets and/or chairs. We will provide plates, and cutlery. Reservations are required! Buy tickets in advance or call with a reservation and pay with cash at the door.